Sylvester Albertie “Plue Jean” was born on August 6, 1951 to the late Andrew and Annie Ruth Albertie in Nassau County, Florida. He was educated in the public school system of Nassau County and graduated in the class of 1970. Plue Jean was affectionally known in the community. He joined the military after high school and later became a chef before becoming disabled. On Saturday, March 16, 2019 God called Sylvester home to be with the Lord. He was preceded in death by his parents, Andrew and Annie Ruth Albertie; his brother, Marvin Albertie; and sisters, Patricia Manier, Louise Albertie and Carla Albertie. 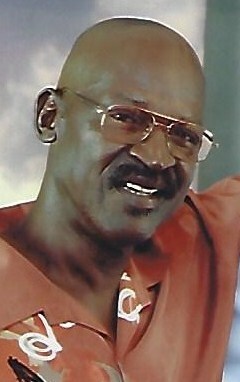 Plue Jean leaves to cherish his memories, his loving wife, Lisa Maria Albertie of Kingsland, Georgia; his children, Jeremy Sanders and Rayvon Sanders both of Jacksonville, Florida; two grandchildren; sisters, Mae Jones, Katie Fuller, Grenda Taylor (Mack Jr.), Cheryl Murphy (Eric) all of Kingsland, Georgia and Sandra Jones of Yulee, Florida; brothers, Andrew Albertie, Jr., Malachi Albertie, Jr., Curtis Albertie all of Kingsland, Georgia, Bobby Albertie (Linda) of Lake City, Florida and Anthony Albertie (Lashawn) of Jacksonville, Florida; sisters-in-law, Dianna Sanders and Robin both of Jacksonville, Florida; brothers-in-law, Paul Manor of Kingsland, Georgia, Wilbert Sanders of Atlanta, Georgia and Timothy Bryan of Brunswick, Georgia; four aunts; 1 uncle; and a host of nieces, nephews, cousins, other relatives and friends.